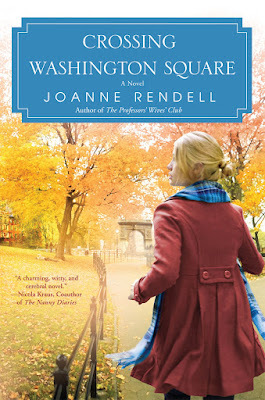 My guest today on the Girlfriend’s Cyber Circuit Literary Blog Tour is Joanne Rendell, author of The Professors’ Wives’ Club, and now the new novel, Crossing Washington Square, published by NAL. Across Washington Square live two very different women …with their very different love of books. Some women follow their hearts; others follow their minds. In this “charming, witty, and cerebral” second novel from the acclaimed author of The Professors’ Wives’ Club, we return to Manhattan University, where two strong-willed women are compelled to unite their senses and sensibilities. Professor Diana Monroe is a highly respected scholar of Sylvia Plath. Serious and aloof, she steadfastly keeps her mind on track. Professor Rachel Grey is young and impulsive, with a penchant for teaching popular women’s fiction like Bridget Jones’ Diary and The Devil Wears Prada, and for wearing her heart on her sleeve. The two conflicting personalities meet head to heart when Carson McEvoy, a handsome and brilliant professor visiting from Harvard, sets his eyes on both women and creates even more tension between them. Now Diana and Rachel are slated to accompany an undergraduate trip to London, where an almost life-threatening experience with a student celebrity will force them to change their minds and heal their hearts…together. Joanne was born and raised in the UK. 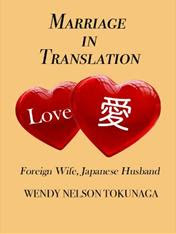 After completing her PhD in English Literature, she moved to the U.S, to be with her husband, a professor at NYU. She now lives in faculty housing in New York City with her family. Joanne stopped by to answer a few questions. What is the elevator pitch for Crossing Washington Square? Sparks fly when two very different female professors meet head to heart at a prestigious Manhattan university (and when a handsome visiting professor from Harvard shows up, even more trouble is in store). And what was the inspiration behind the writing of Crossing Washington Square? The idea for this book evolved over a few years. As someone who has lived the academic life (I have a PhD in literature and now I’m married to a professor at NYU), I’ve always loved books about the university – books like Kingsley Amis’ Lucky Jim and Michael Chabon’s Wonder Boys. But what I noticed about such campus fiction was the lack of female professors in leading roles. Even the female authors like Francine Prose and Zadie Smith, who’ve written campus novels, focus on male professors. Furthermore, most of these male professors are disillusioned drunks who quite often sleep with their students! I wanted to write a novel with women professors taking the lead and I wanted these women to be strong and smart and interesting – instead of drunk, disillusioned, and preoccupied with questionable sexual liaisons! It’s not all fireworks and champagne. Being a published author is a job that you have to keep working at and, like any job, it comes with its highs and lows. The Elegance of a Hedgehog, Muriel Barbery and also Simone de Beauvoir’s, A Very Easy Death. It’s a coincidence that they are both books by French philosophers. I’m reading both as research for a new book idea, although the book isn’t about France or philosophy. Are you now intrigued?! I hope so. I have a six year old son who is homeschooled, so that’s what I’m mostly doing when I’m not writing. Although, “homeschool” is somewhat a misnomer as we spend a relatively small amount of time schooling at “home.” We live in New York so are lucky enough to have an amazing array of fun and educational places on our doorstep. Benny and I, together with his homeschooled friends, are always out on trips to the Met, the Natural History Museum, aquariums, zoos, galleries, libraries, and parks. When we’re not out and about, Benny and I love to read – either together or separately. I’m so thankful he loves books like I do! I think it’s great that Joanne decided to turn the tables and write about women professors. And, yes, I am intrigued about that new book! Wishing Joanne the best of luck with Crossing Washington Square. Be sure and visit her at her Web site here.